1.) For the 2018 edition of FilmQuest, only Films completed after January 1st, 2014, are eligible for consideration. Films completed prior to January 1st, 2014, are not eligible for consideration. 2.) For the 2018 edition of FilmQuest, only Student Films completed after January 1st, 2015, are eligible for consideration. 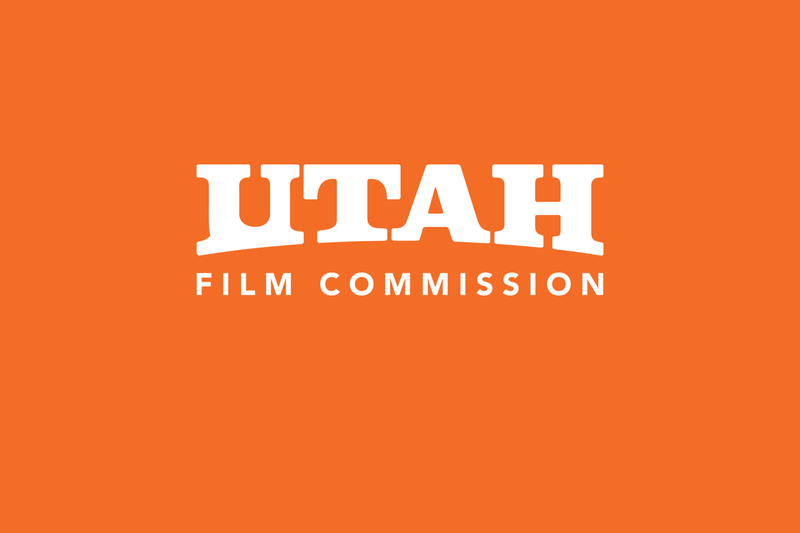 Films completed prior to January 1st, 2015, are not eligible for consideration. 3.) If the Film’s final running time is projected to be 40 minutes or less, the Film may only be submitted as a Short Film. 4.) If the Film’s final running time is projected to be 41 minutes or more, the Film may only be submitted as a Feature Film. 5.) If the Film is Animated, there is no minimum or maximum running time required. FilmQuest will determine if the film is screened as a Feature or Short Film. We recommended Submitters submitting the film in the Animated Film category for consideration if they are submitting an Animated Film. 6.) If the Film is a Student Film, there is no minimum or maximum running time required. FilmQuest will determine if the Film is screened as a Feature or Short Film. We recommend Submitters submit the Film in the Student Film category for consideration if they are submitting a Student Film. Submitters for a Student Project must provide proof of I.D. with submission verifying that the project was completed and/or produced while they were a student. 7.) If the Film is a Music Video, there is a running time limit of 10 minutes. We recommend Submitters submit the film in the Music Video category for consideration if they are submitting a Music Video. 8.) If the Film is a TV or Web Series, there is a running time limit of 60 minutes. Only one episode per submission is required. Additional episodes will require additional submissions. YouTuber’s and their channels are eligible for this category. We recommend Submitters submit the Film in the TV/Web Series category for consideration if they are submitting a TV or Web Series. 9.) Teams submitting to FilmQuest Express must register on or before July 9th, 2018, in order to be eligible to compete in the 2018 competition. Final Films must be submitted by September 1st, 2018. Failure to comply with the competition’s rules will result in the Team being disqualified from Awards consideration. All Teams who finish their film under FilmQuest’s General Rules and Terms & Conditions are eligible to screen at the FilmQuest 2018. 10.) 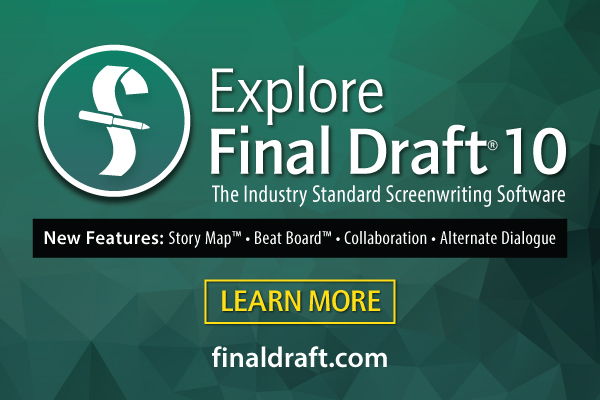 Feature Screenplays submitted to FilmQuest is considered a Feature length script if it is 41 pages or longer. For consideration, Screenplays must be genre based. 11.) Short Screenplays submitted to FilmQuest is considered a Short length script if it is 40 pages or shorter. For consideration, Screenplays must be genre based. 12.) Screenplays, Feature and Short, that have been produced are not eligible for entry or competition into the FilmQuest Screenplay competition. 13.) There is no rule prohibiting a Film or Screenplay from submitting, or from FilmQuest excluding, a Film that has already made its premiere at another festival. FilmQuest does not seek to obtain exclusive rights to a Film’s world premiere and leaves that decision entirely up to the filmmaker(s). 14.) Feature Films that have screened theatrically in the United States are not eligible for entry into FilmQuest. This does not include “work-in-progress” screenings in which an incomplete version of the film was previously screened. This does, however, include VOD, Streaming, and other such services. 15.) Short Films do not have any premiere requirements. Short Films do not forfeit their eligibility for submission to the Festival if they were previously released theatrically or on DVD, broadcast on television or the internet, or screened at any number of film festivals in the world. 16.) Films that have been submitted for FilmQuest consideration in previous years are eligible for submission for 2017 Festival consideration, but only if the Film has been changed significantly since the last time it was submitted. FilmQuest shall have the sole authority and discretion to determine whether a Film that was previously submitted has been changed significantly from the previously submitted version. The Institute reserves the right to determine a previously submitted Film’s eligibility, without refund of any or all submission fees previously collected from the Submitter, based on the content of the newly submitted version of the film as compared with the previously submitted version. 17.) It is the sole responsibility of the Submitter and/or Filmmaker(s) to secure authorization and permission from the copyright owner(s) of any and all copyrighted content or materials included within the submitted Film. FilmQuest expressly disavows any responsibility for, and will not be held responsible for, any unauthorized inclusion of any copyrighted content or materials within or relating to the submitted Film, including any content or materials that are or may become the basis for any third party claims for copyright infringement. FilmQuest reserves the right to disqualify, without refund of any or all submission fees previously collected from the Submitter, any Film with any unauthorized inclusion of copyrighted content or materials. In the event that any claim, dispute, action or proceeding shall be brought or asserted by any person or entity that alleges that the Film makes unauthorized or unlawful use of any copyrighted content or material, the Submitter shall fully indemnify and defend FilmQuest, and each of their representatives and affiliates from any liability in connection therewith and from any fees and expenses, including but not limited to attorneys’ fees, that any of them may incur in connection therewith. 18.) It is the sole responsibility of the Submitter to secure authorization and permission from the owner(s) of any and all trademarked content or materials included within the submitted Film. FilmQuest expressly disavows any responsibility for, and will not be held responsible for, any unauthorized inclusion of any trademarked content or materials within or relating to the submitted Film, including any content or materials that are or may become the basis for any third party claims for trademark infringement, trademark dilution or unfair competition. FilmQuest reserves the right to disqualify, without refund of any or all submission fees previously collected from the Submitter, any Film with any unauthorized inclusion of trademarked content or materials. In the event that any claim, dispute, action or proceeding shall be brought or asserted by any person or entity that alleges that the Film makes unauthorized or unlawful use of any trademarked content or material, the Submitter shall fully indemnify and defend FilmQuest, and each of their representatives and affiliates from any liability in connection therewith and from any fees and expenses, including but not limited to attorneys’ fees, that any of them may incur in connection therewith. 19.) It is the sole responsibility of the Submitter to clear all content of the Film from any and all actual or potential legal claims and issues, including, without limitation, claims based upon theories of libel, defamation, invasion of privacy, violation of rights of publicity, theft of trade secrets, breach of confidence, breach of confidential relationship, and breach of express or implied contract (“Third Party Claim(s)”). FilmQuest expressly disavows any responsibility for, and will not be held responsible for, any unauthorized inclusion of any content or materials within or relating to the submitted Film that are or may be the basis for any Third Party Claims based upon any of the foregoing legal theories or others. FilmQuest reserves the right to disqualify, without refund of any or all submission fees previously collected from the Submitter, any Film that is or may become the subject of any Third Party Claims. In the event that any Third Party Claim(s) shall be asserted by any person or entity, the Submitter shall fully indemnify and defend FilmQuest, and each of their representatives and affiliates from any liability in connection therewith and from any and all fees and expenses, including but not limited to attorneys’ fees, that each of any of them may incur in connection therewith. 20.) Submitters submitting Films that contain significant non-English spoken dialogue must provide on-screen English subtitles and/or dubbing. FilmQuest reserves the right to disqualify, without refund of any or all submission fees previously collected from the Submitter, any Film that contains significant non-English spoken dialogue that does not include accompanying on-screen English subtitles. 21.) It is the sole responsibility of the Submitter to ensure that the submitted disc and/or .MOV file plays in its entirety on an industry-standard DVD or Blu-ray player prior to submitting it to the Festival. In the event that a submitted disc does not play on an industry-standard standard DVD or Blu-ray player, FilmQuest will attempt, but is under no obligation, to contact the Submitter using the contact information provided on the submission form in an effort to obtain a replacement copy of the Film. FilmQuest reserves the right to disqualify, without refund of any or all submission fees previously collected from the Submitter, any Film whose initially submitted disc does not play on an industry-standard DVD or Blu-ray player. 22.) It is the sole responsibility of the Submitter to ensure that the submitted disc arrives at the shipping destination provided to the Submitter upon completion of the submission form. In the event that a submitted disc does not arrive at the designated shipping destination within the deadline window selected by the Submitter, FilmQuest will attempt, but is under no obligation, to contact the Submitter using the contact information provided on the submission form in an effort to obtain a submission copy of the Film. FilmQuest reserves the right to disqualify, without refund of any or all submission fees previously collected from the Submitter, any Film that does not arrive at the designated shipping destination within the deadline window selected by the Submitter. 23.) In order to be considered for the Festival, the Submitter must fill out the Festival submission form located at www.filmfreeway.com. FilmQuest reserves the right to disqualify, without refund of any or all submission fees previously collected from the Submitter, any Film that is not submitted through one of these channels. 24.) FilmQuest reserves the right to disqualify, without refund of any or all submission fees previously collected from the Submitter, any Film with a submission form that is considered to be delinquent due to the non-payment of any or all submission fees. FilmQuest may attempt, but is under no obligation, to contact the Submitter using the contact information provided on the submission form in an effort to bring the payment status of the account up-to-date. FilmQuest disavows any responsibility for, and will not be held responsible for, any failure to contact the Submitter and inform the Submitter of any payment delinquency or other deficiency of a submission form. 25.) Upon completion of the FilmQuest selection process, FilmQuest will attempt to contact the Submitter using the contact information provided on the submission form to notify the Submitter of the Film’s acceptance status. FilmQuest disavows any responsibility for, and will not be held responsible for, any failure to contact the Submitter using the contact information provided on the submission form. It is the sole responsibility of the Submitter to ensure that the contact information provided on the submission form is correct throughout the entirety of the FilmQuest selection period. 26.) FilmQuest is under no obligation to provide to the Submitter and/or Filmmaker(s) or any other representative of the Film any comments or feedback regarding the submitted Film, any information relating to the manner in which the Film is, will be, or was reviewed; any views that FilmQuest or any reviewers of the Film may hold concerning the Film; any reasons why the Film, should it not be accepted for exhibition at FilmQuest was not accepted; or any other information relating to the Festival’s review, consideration and/or selection process regarding the Film specifically or submissions generally beyond the information set forth in these Rules and Regulations. FilmQuest disavows any responsibility for, and will not be held responsible or liable for, the contents of any internal comments or feedback regarding any Film that are or may be obtained by the Submitter or any other representative of the Film; any communications by any representative of FilmQuest or the Festival relating to the Film or the Festival selection process; the manner in which the Film shall be, is or was considered and reviewed; the identity or identities of any specific reviewers of the Film; and/or any failure on the part of FilmQuest to provide the Submitter, Filmmaker(s) or any other representative(s) of the Film with information concerning FilmQuest’s consideration and/or review of the Film. 27.) FilmQuest will not accept or consider Films that are bigoted, racist, hateful, etc. in nature. FIlmQuest reserves the right to determine whether a film fail to meet this standard or not. 28.) FilmQuest will not accept or consider Films that are pornographic in nature. Nor will it consider Pornographic Films for screening. FilmQuest reserves the right to determine whether a film fails to meet this standard or not. 29.) FilmQuest will not accept or consider Films that contain more swearing than actual dialogue. Exceptions may be made, but the Submitter and/or Filmmaker(s) should notify FilmQuest in this event. FilmQuest reserves the right to determine whether a film fails to meet this standard or not.